The Kaby Lake architecture is meant to improve overall system power consumption and add to the efficiency. In the case of the Core i7-7700K, we are looking at refined 14nm Plus process which allows Intel to gain improved clock speeds under the same power package. 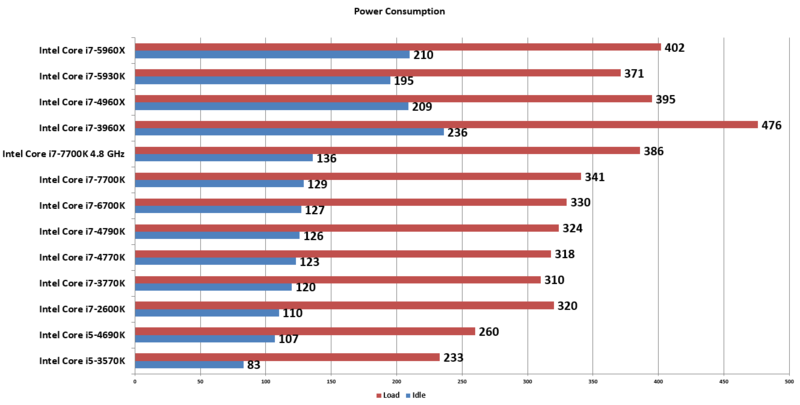 With the frequency bump, the new chips do end up with higher power consumption both in idle and load states. When overclocked, the Core i7-7700K did went past the 400W barrier due to added power and voltage. 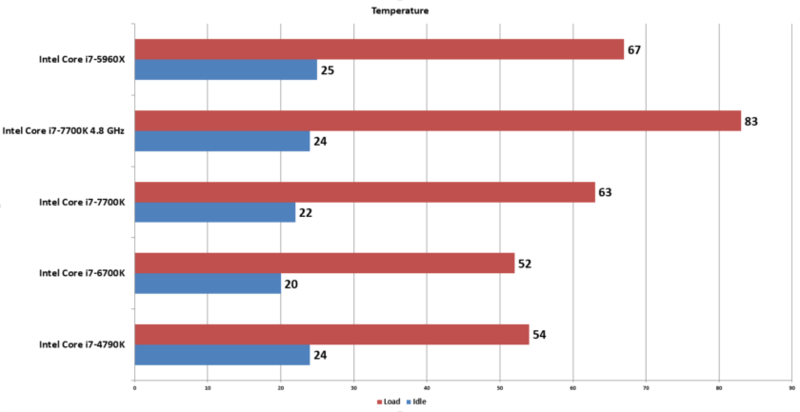 We used a Phantek’s PH-TC14PE cooler to keep the chip cooled under stock and overclocked load and the result was a significant increase in the temperatures compared to Skylake generation.